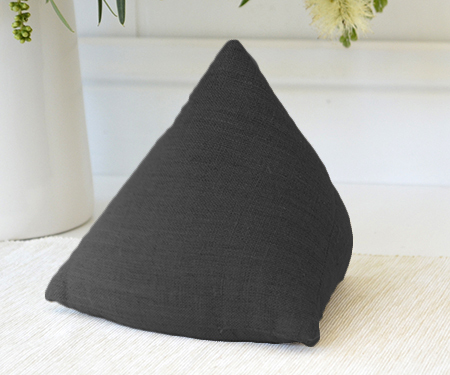 This pyramid style doorstop is made from black linen fabric for a classic, understated look. Nicely weighted to hold back your door in a breeze. Measures 16cm x 16cm x 16cm.